1) You will, of course, need the book! You can find it here if your local bookstore doesn't have it in stock. 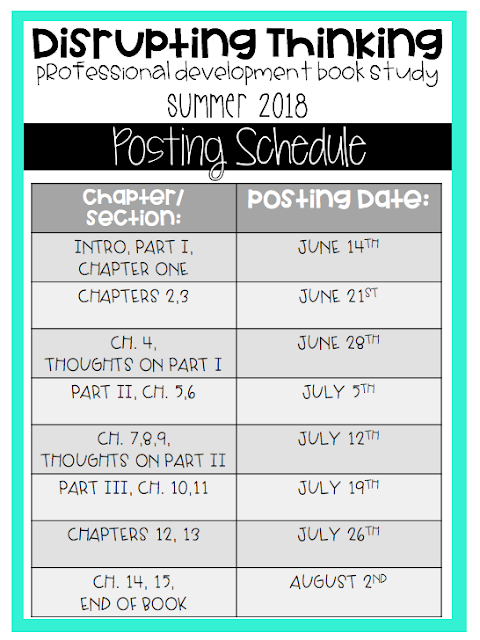 2) Here's the posting schedule. I'm really excited to dive into this book with y'all. 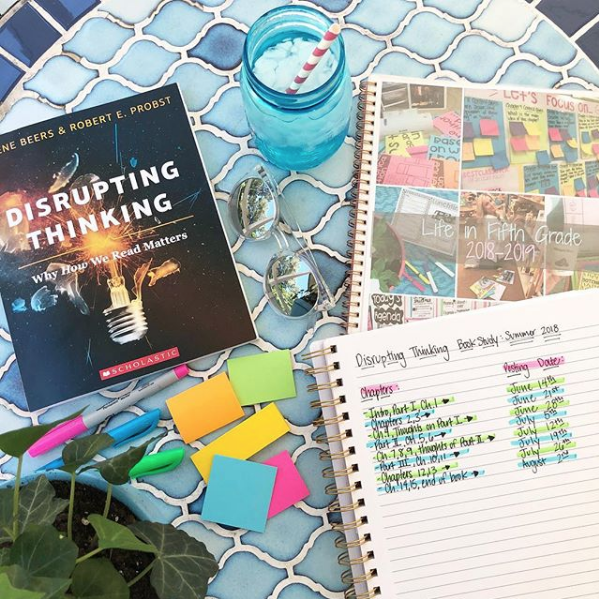 Summer is the perfect time to get to all those professional development books that will inspire and motivate you for the next school year. 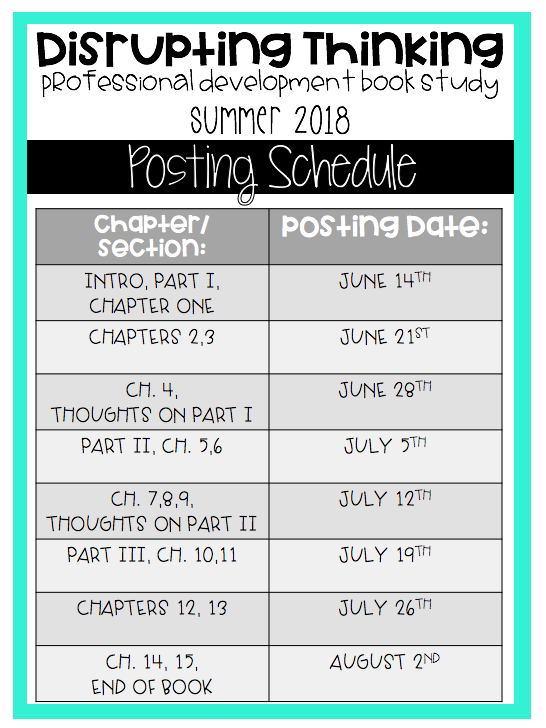 Check out my favorite PD books in yesterday's blog post here. I just started reading this!! So good! It was out of stock on Amazon, so I ordered the kindle edition. Can't wait!